From the moment he clambered from a boat and fell into a hole, Fenwick described his Gallipoli experiences in vivid detail. His writing revealed his increasing distress as he treated waves of wounded, and helped bury the dead. Hear dramatic narrated extracts from Fenwick’s own writing. Christchurch surgeon Lieutenant-Colonel Percival Fenwick was Deputy Assistant Director of Medical Services of the New Zealand and Australian Division at Gallipoli. 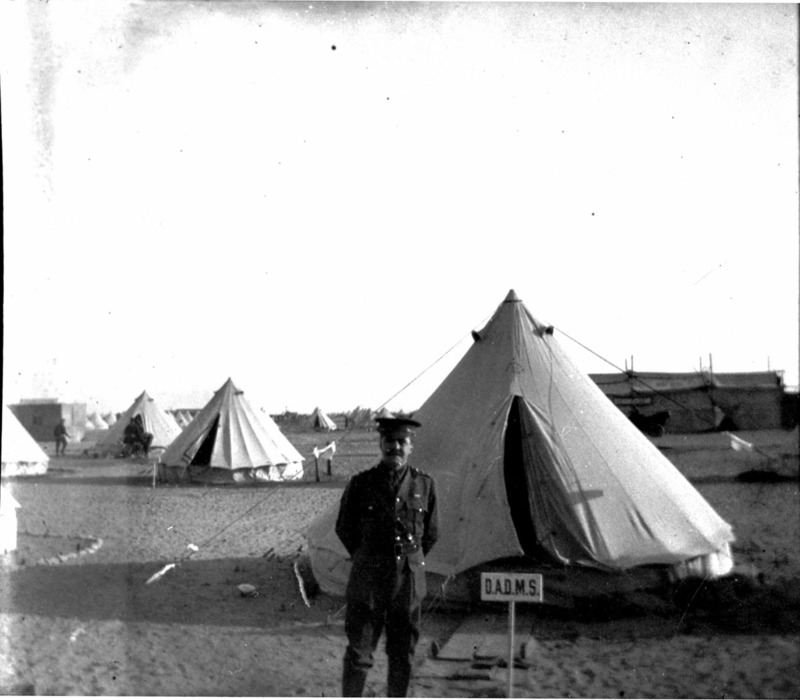 He was among the first New Zealanders ashore on 25 April 1915, and kept a diary throughout the campaign. Our boat grounded about 50 feet from the shore and we all hopped out. Of course I fell into a hole up to my neck. We were frightfully hampered by our kit – overcoat, revolver, glasses, map case, haversack, three days rations, firewood, Red Cross satchel, water bottle – like elephants. It was a certainty that we would drown if we got stuck. In late May 1915 after a period of particularly heavy fighting, an armistice with the Ottoman Army was declared, in order to bury the decomposing bodies in no-man's-land. Fenwick was one of the officers involved. The most ghastly day. I went along the beach. Fifty men carrying white flags followed. We were met by some Turkish officers who arrived on horseback, followed by 50 very fine-looking Turks carrying Red Crescent and white flags. The Turkish officers were charming and the Turkish medico was extremely nice. We exchanged cigarettes. During the armistice, Fenwick saw, first-hand, how close and bloody much of the fighting had been. Further along the plateau, the distance between the trenches narrowed. The narrowest was not 17 feet apart. In one charge five or six Turks had reached our trench and died with their heads on our sandbags. From here, a long file of dead reached back to the front of the Turks’ trench. Fenwick also observed the enormous number of men who had been killed over the previous few weeks. Behind us for at least two miles, we could see our burial parties working furiously. In some cases the dead actually formed part of the trench wall. It was a terrible sight to see arms and legs sticking out of the sand, underneath the sandbags. At a very modest estimate, I saw 2,000 dead Turks. The experience clearly upset Fenwick. Everywhere one looked lay dead, swollen, black, hideous, and over all a nauseating stench that nearly made one vomit. I got back deadly sick and got brandy and lay down. I shall certainly have eternal nightmares. I pray God I may never see such an awful sight again. I trust New Zealand will never be fool enough to forget that to avoid war one must be too strong to invite war.